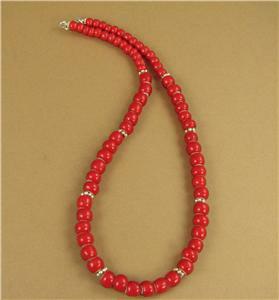 Home › Necklaces › Bright red necklace. African beads. Fine & sterling silver. Handmade. 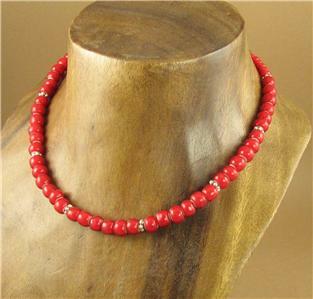 Bright red necklace. African beads. Fine & sterling silver. Handmade. 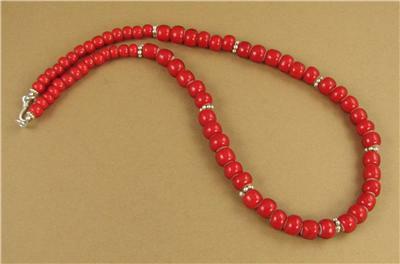 Bright red necklace. African beads. Fine &sterling silver. Handmade. 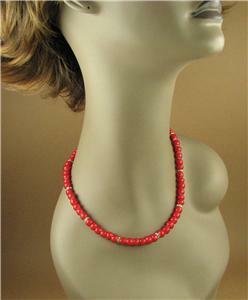 This is a striking bright red necklace made of silver and African beads. 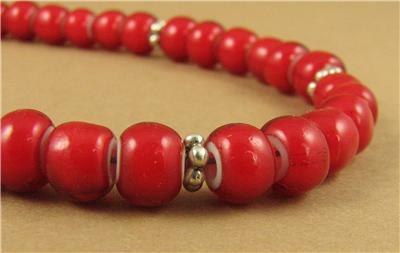 The beads are handmade glass white heart beads from Ghana. 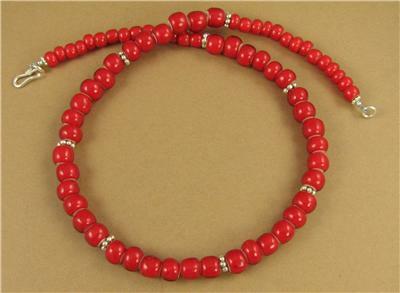 The silver' flower' beads and the clasp are solid fine silver which is extremely pure (98% purity). 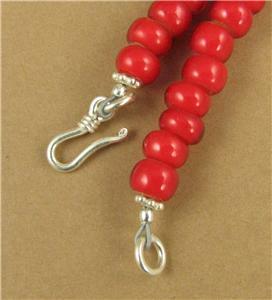 The 2 tiny finishing beads are sterling silver. The wire I have used inside the necklace is both flexible and extremely strong. 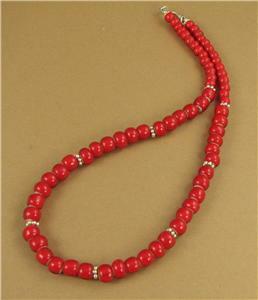 The length of the necklace is 17.5". I'm happy to adjust the length if needed, just let me know the length you'd like when you order. I am the designer of this necklace and I have put it together with my own hands. I have been making my living exclusively from designing and making jewellery for 9 years. I travel every year to seek out old and tribal silver from Asia and India along with semi-precious stones. Back at home in Brighton, England, I make these loose pieces up into beautiful and unusual jewellery.